Fire sprinklers save lives. Automatic fire sprinklers have been saving lives and protecting property for more than a century. Does your building in Tennessee, Arkansas, or Mississippi have a properly designed and installed fire sprinkler system to keep you, your employees, and your assets safe? State Systems is an expert at designing, installing, maintaining, testing and repairing fire sprinkler systems for buildings in the greater Memphis area. Contact us online to request an estimate or call us today at 866-308-5701! 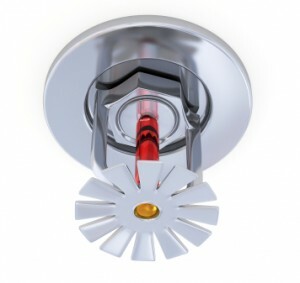 We also offer fire sprinkler monitoring services throughout the Mid-South. The National Fire Protection Association (NFPA) has no record of a fire killing more than two people in a completely sprinklered building where the system was properly operating, except in an explosion or flash fire or where industrial fire brigade members or employees were killed during fire suppression operations. Clearly, fire sprinkler installation is highly recommended. If your new construction building in the greater Memphis area (spanning Tennessee, Arkansas, and Mississippi) needs a fire sprinkler installed, or if you are looking to replace your outdated system, contact us today! Our fire sprinkler technicians will design and install a system that meets local and state codes and regulation, and most importantly, that will protect your life and property. In addition, we can provide full flow tests, as well as repair and maintenance of electric and diesel fire pumps. In order to be as effective as possible, commercial fire sprinklers should be dry tested at least quarterly. During this routine fire sprinkler inspection, the most important things to check for are valve seizures, sensor malfunctions, broken seams, leakage, and other valve issues, as these areas are the ones most likely to cause big problems if they are not working optimally. At State Systems, Inc., we have the experience and knowledge to ensure your fire sprinkler system is working properly when you need it most. Don’t ask yourself “Who can I call for emergency fire sprinkler repair near me?” Trust the experts for State Systems every time.